The Book Pushers: This is a fantastic blog and I love their header. Anyways that was my IMM. What did you get in yours? Though the summer sun burns high in the skies. But the turning of time itself inverse. The young Count of Estelliana lies sleeping, as still and cold as if he was dead. His mysterious slumber has subjected the people of his land to the harsh rule of Lord Zavion, the cold and ruthless Regent. But when Durrik, the son of the town's bell-crier, involuntarily prophesizes the count's death before the entire starkin court, he catapults himself and his best friend Pedrin into the adventure of their lives. The Wildkin's Curse is a tale of true love and high adventure, set in a world of magic and monsters, valiant heroes and wicked villains. 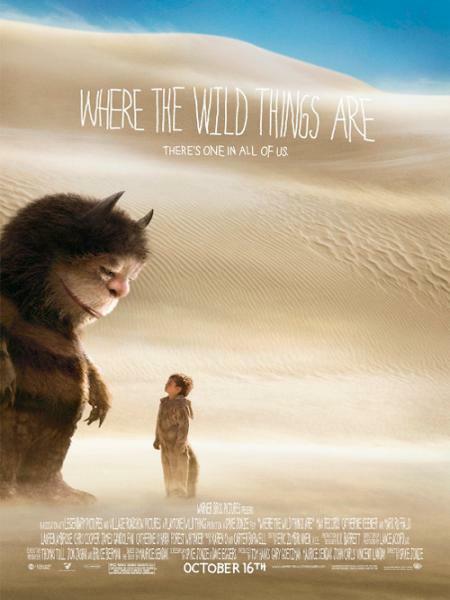 It tells the story of two boys and a girl who undertake the impossible task of rescuing a wildkin princess imprisoned in a crystal tower. Princess Rozalina has the power to enchant with words. She can conjure up a plague of rats, wish the dead out of their graves, and change people's hearts and minds with her stories. As much a curse as a gift, her magic will be used for evil by the ruling starkin if she is not set free and taught to use her powers wisely. A fantasy novel for readers aged 12+, The Wildkin's Curse tells of the power of stories to change the world. 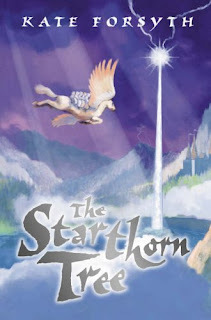 It is the second book in the Chronicles of Estelliana, which began with The Starthorn Tree. 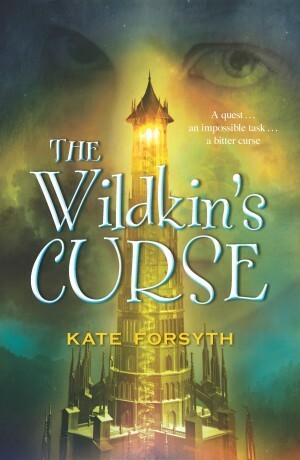 The Wildkin's Curse was released on the first May. You can read more about Kate Forsyth and her books over at her website. Hey guys. So it's Week 3 and Deadline time. How you all going? I can't believe how quick the last couple of weeks have gone! Has anyone else had trouble writing, while trying to deal with life (kids work and everything in between)? Shandy was at the other side of the shed tangled in some branches, her muzzle wedged into the thickest ones. I took a few more steps then waited for my eyes adjust. The sun had almost set which left me a few minutes to get her out of the branches and in the house before night fully set in. She whimpered and struggled more, the closer I got. When I was a few feet away our eyes met for the briefest moment before I realized my mistake. She was never one to play behind the shed, or in Mum's garden for that matter so being stuck in the branches was out of the ordinary. Once that thought had occurred, the branches around her began to twist and curl until it took a new shape, a sneering creature with a mouthful of needle-like teeth. Then the whispers started. Darkness was here. My heart thumped so hard against my ribs and my legs wanted to leave with or without the rest of my body but I refused to give in to the panic that was steadily growing. There was no way she would be able to get free of it. This one was bigger than the ones from my room. He stood around five feet tall and smelled horrendous. Worse than my three day old socks. Before I could take another step I was knocked off my feet landing hard on my back, my vision exploded into millions of white specks. Pain radiated in waves from the back of my skull. I could hear scratching and growling not far from me, but I couldn't bring myself to stand without throwing up. "The boy, kill the boy." The whispers were getting closer, and my skin crawled at the familiarity of it I recognized those voices from my room. I struggled to my feet and found Shandy taking the lead urging me on. Cold scaly fingers clamped down on my ankle and I tripped face first onto the concrete. Shandy spun around and growled low and deep but the fingers only tightened. Sharp nails pierced my skin and I tried to yank my leg away. Shandy lunged and more shrill screams erupted over the whispers. My leg shook twice before it was freed and I was back on my feet running for verandah, Shandy close at my heels. The back sensor light flicked on and a wave of relief washed over me, but I kept moving. Mum opened the door and both Shandy and I leapt through it and she shut it just as quick, a panicked expression on her face. "What's going on? Are you seeing things again?" She knelt down to take a look at my leg which I was holding awkwardly. I brushed her away. "It's okay Mum. Just playing with Shandy. We're going upstairs now." I hurried upstairs and flicked on all the lights including the two lights in my room. They were back. But why? Okay that's it. Hope it's okay. Possibly a little rushed to make it before 9:30 so excuse the mistakes. What do you all think?? These first 100 pages have just flown by. 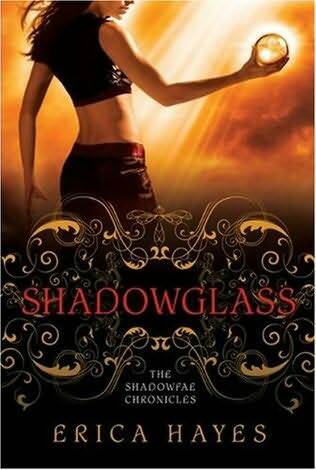 The dramas continue for poor Zoe Redbird in the 7th book of the House of Night series. 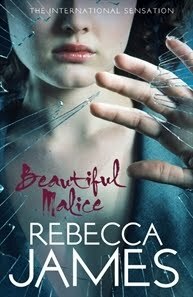 The book so far jumps between Zoe, Stark, Aphrodite, Stevie Ray and another charcter who I will not name. It's definitely an interesting mix of character viewpoints. Surprisingly, I'm really liking Aphrodite at the oment. The tension is super high within the first few pages and I haven't been able to put this down. It's so hard because I want to include so much here of what's going on but at the same time I don't want to give anything away for those of you who haven't picked this up to read yet. I can tell already that this is going to be a book that will be read in one sitting and I think everyone is going to enjoy this one as much as I am right now. 'Ya'll need to get yourselves together. Here's a newsflash from the only High Priestess you have left at this dang school: Zoey isn't dead. And believe me, I know dead. I've been there, done that and got the fricken tee-shirt.' I'm sure you will all be able to guess who that comes from. You can read more about this over at Goodreads. Thanks heaps to those of you who have sent stories in. Next week on Thursday the new giveaway will start (for OUAT). The other two awesome book bloggers who will be helping to pick the stories are Reaganstar from Star Shadow and Jenn from Book Crazy. Thanks guys. This week I come across You by Charles Benoit. Released date is 24th August! While I couldn't find a synopsis of this here is what I found on Goodreads. Book Lovers Inc: We want YOU as a book lover! The big opportunity to join our group and become a full member of Book Lovers Inc. Novel Novice: Get your copy of DEFINING Eclipse today. Fallen Archangel: Fallen Archangel Ultimate Fan Contest!! ARC Copy of Crescendo up for grabs. Okay that's all form me. What websites etc have you come across that you'd like to share? 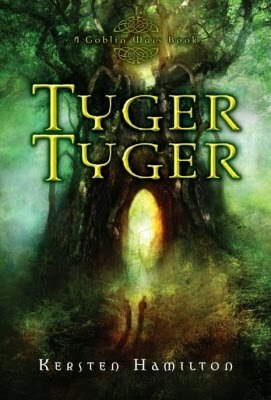 I almost forgot to post this tonight because I've been so absorbed with reading Tyger Tyger. So how was everyones weekend?? Mine has been pretty uneventful. I did try reading two books at once. Tyger Tyger and Burned, but as I've learnt before, I can never divide my time up equally between two books. And as it was Burned was read first (mainly because I had it in book version) and whoa what a book that was! Okay so here is what we have in store for this week. I'm not sure how many are entering into this but if you could drop by and leave a comment here so that I have some idea of how this is all going that would be great. So yeah that's what we got for this week. I will be throwing in extra posts here and there but not sure yet what these will contain! 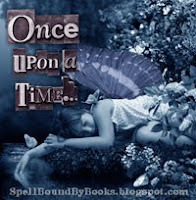 If there are any ideas or if you'd like to do any Guestposts or contribute in anyway to Spellbound By Books just drop me a line at melissa@spellboundbybooks.com. Mahmutović's work does not wallow in self-pity, nor do his characters. 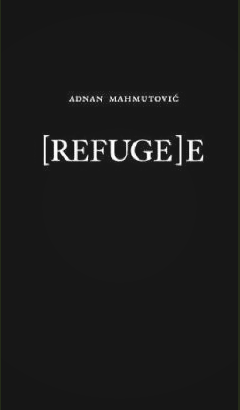 Inside the plain cover holds stories and poetry that speak truths, those that may cause one to feel discomfort, pity, and anger, yet Mahmutović does not ask the reader to feel this way, does not use his words to soothe or affect some change, instead, he says, "[RUFUGE]E is not a comfort. It is not a real shelter [...] whatever you, the reader, immerse yourself in here, whatever you find here to lift you up as being, be my guest." A seductive magic mirror, deep in a demon's lair. A simple warning: don't stare at the glass. A light-fingered fairy who can't resist. For Ice, a compulsive fairy thief, life is a wild party of mayhem, fae trickery and magical confidence scams. She's never cared about rules or warnings, so when she filches a demon's beguiling magic mirror, she can't resist taking a peek. Malicious enchantment strikes, and Ice can no longer tell a lie. If she can't undo the spell, she'll have to turn respectable. Two words: no way. It sounds simple, especially when Indigo, a frosty metalfae thief, agrees to help her, as he too has fallen foul of the mirror's mischief. 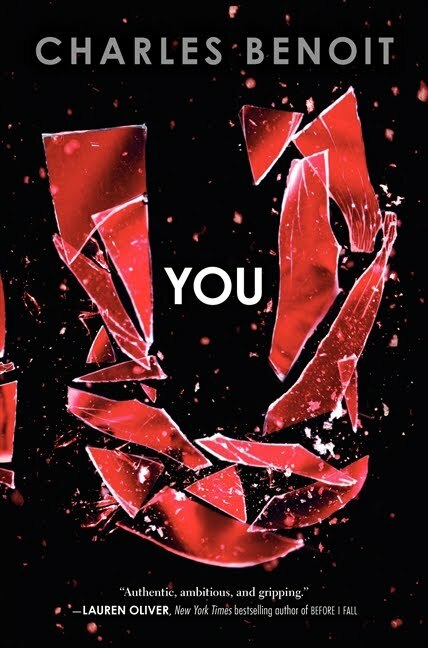 But when the mirror's victims start turning up dead, it seems someone doesn't want Ice or Indigo cured. As they draw closer to answers — and to each other — Indigo remains stubbornly silent about the nature of his enchantment. Is he the killer's target? Or does he harbour a more chilling secret? That's all from me this week. What did you all get??? 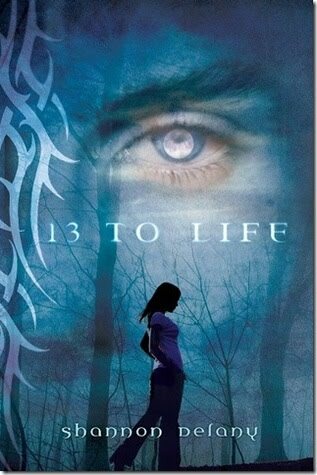 Spellbound by Books would like to introduce Shannon Delaney, Author of the upcoming Debut novel 13 to Life. 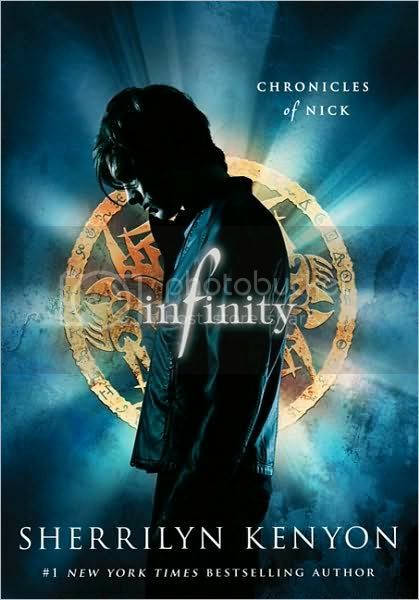 13 to Life will be out on June 22! 1. How would you describe 13 to Life? I'd describe it as something that can be read at different levels by different people. Yes, theres action, romance and danger, but there's also some deeper underlying themes and subtleties some people will catch and others will skim across. There are hidden bits that line things up in the next two books very specifically. And to me, getting different things from a book? Well, that's the way it should be. We're all different readers, we all bring different things to our reading experience and should take away different ones, too. 2. What was the easiest/hardest part of writing 13 to Life? Putting it in front of my editor was hardest. As a writer I think we all move (in the space of a single breath) from feeling we're the worst writer in the world to feeling we're the best. And back again. An editor's the one person who really gets to tell you how you rank in your profession as an author. The easiest part was writing the rough draft. The characters do most of it for me, frankly--I just sort of view and record the action through the lenses which are Jessie's eyes. 3. What routines/habits do you have for where you write, when you write and how you write? The main one is I read aloud everything I write--at least twice. Other than that, I write when I can, as much as I can and as fast as I can (ignoring the internal editor until we're past the rough draft stage). Oh. Coffee helps, as does smoked salmon (lox and bagel = yum). 4. What keeps you writing? Writing's like an addiction. I need to get the stories and characters down on paper. It's like they all rent space in my head until they're ready to find their own home--in the right book, living the right adventures. 5. What do you hope people take away with them after reading your work? 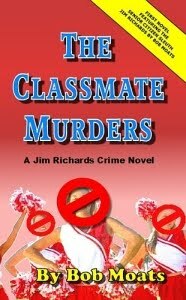 Overall, I want my books to raise questions about things in my readers' lives. Yes, this debut series is about paranormal happenings, but as weird as the story gets it's still about people and the way we treat each other and ourselves. If I can get you to wonder...about the characters' futures, about their choices or your own, I feel I've accomplished something. I firmly believe we can learn something from reading anything--we don't only learn when reading straight fiction or non-fiction if we're open-minded. 6. Is there a question you've always wanted to be asked but haven't? What would your answer be? I think I've been asked most of the questions I'd care to answer (sometimes multiple times). I always look forward to unique questions, though (but I'm low on caffeine today so I have few floating around in my head). I have a bunch of things planned (and a number "in the works'). 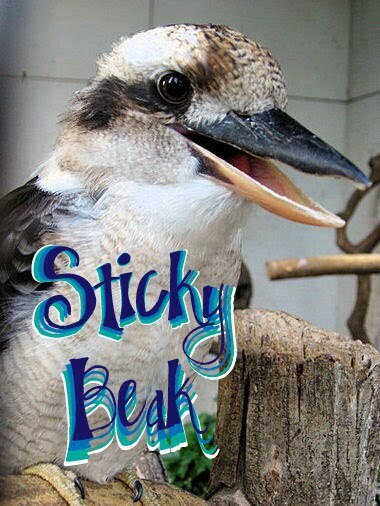 Right now all I can really say is that the second book in this series has been accepted by my publisher and I expect book three will be accepted soon, too. After that I'll be working on vastly different books. But mainly YA. 8. Are there any tips and advice you would like to pass on to aspiring writers? 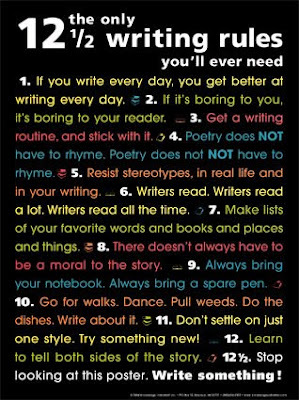 Read alot, and write even more. Set achievable goals and be persistent. 10. What book's have influenced your life most? Ugh. Technically the Bible, Shakespeare's works, and, oddly enough, the Valdemar series by Mercedes Lackey. They all have very unique merits. 11. And last, your stuck on deserted island which character from your books would you take with you and why? Hmm. A few months ago I would have said Pietr (Jess drives me crazy--we have some annoying similarities). But at this point, having finished book 2, I think I'd take Max along. Once you read book 2 you'll probably figure out there are a few decent reasons to keep him around (and not really for the reasons you'd guess from 13 to Life). I have the advantage of seeing my characters grow up before readers do. St. Martin's Press has special stuff planned for 13 to Life in their upcoming http://wordsnstuff.net newsletter, so if you want to read the first two chapters, or an exclusive short story just for the newsletter, please sign up. Congraulations!!! Emails have been sent! Please email me back with your emails and I'll have these books out to you ASAP!! Myself and two other fantastic Book Bloggers will pick the winners. How's everyone doing?? Only 7 more days to get your stories in!! How are they all coming along? I know I've been having some issues writing my short story! See I'm good at get the first few paragraphs written, but then what? LOL How do I keep a reader's interest going? Are any of you guys having some issues at all with your stories? Here is a little more of my writing. Whether it's any good or not I'm still trying to work out. Within the first two weeks of Shandy arriving most of the shadow creatures disappeared. There were still one or two each night that lingered at the edge of my room but they no longer felt hostile. Mum and Dad grew to love her as well. Although, maybe once or twice they threatened to take her back to the seller when she got into Dad's study and peed on his laptop. It wasn't really her fault though. She must have taken a disliking to Dad when he roused on her for chewing his shoes earlier that day. Hard to say. Everything had settled down with my family but I should have known that good things don't last forever. "Shandy, where are you?" It was late afternoon, the sun had almost set and there was no sign of her. Ripped sheets scattered the backyard and Mum's potted plants were turned upside down, dirt and flowers everywhere. I was surprised to find the mess. It had been a while since she had raided the clothes line and the pot plants were a first. Mum wasn't going to be happy. I bundled the sheets up but paused when my hand brushed against a piece of paper. "What's this?" My stomach tightened when I read the words that clung to the page. Each sentence so familiar I knew it almost by heart. The sheets dropped to the ground and I followed the paper trail to the corner of my father's shed; the sense of dread spreading. I absolutely love this series. 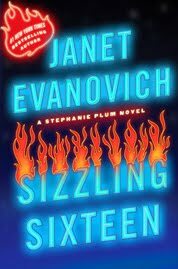 Sizzling Sixteen by Janet Evanovich will be out June 22nd. Bobby Sunflower and is being held until the cash can be produced. Nobody else will pay to get Vinnie back, leaving it up to Stephanie, office manager Connie, and file clerk Lula to raise the money if they want to save their jobs. Finding a safe place to hide Vinnie turns out to be harder than raising $786,000. Vinnie’s messing up local stoner Walter “Moon Man” Dunphy's vibe and making Stephanie question genetics. Between a bonds office yard sale that has the entire Burg turning out, a plan that makes Mooner’s Hobbit-Con look sane, and Uncle Pip’s mysterious bottle, they just might raise enough money to save Vinnie and the business from ruin. The job of bounty hunter comes with perks in the guise of Trenton’s hottest cop, Joe Morelli, and the dark and dangerous, Ranger. With any luck at all, Uncle Pip’s lucky bottle will have Stephanie getting lucky---the only question is . . . with whom?